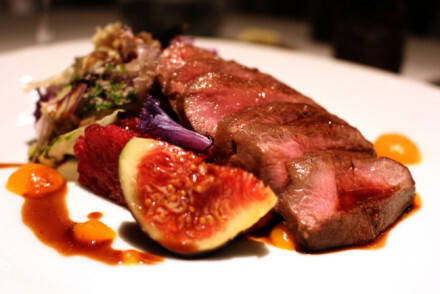 The highly-anticipated Holborn hot-spot, The Square Pig, has now re-opened its well-polished doors after an extensive refurbishment. 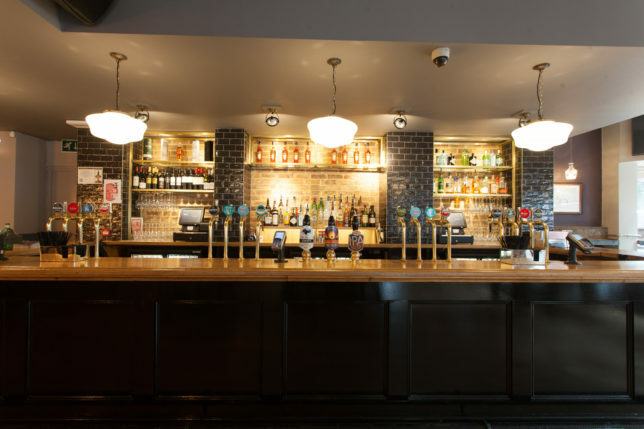 Situated on the corner of Holborn Square right in heart of the capital, the pub is the perfect place to unwind from a hectic day in the office with a drink in one hand and delicious dish from the new menu in the other. 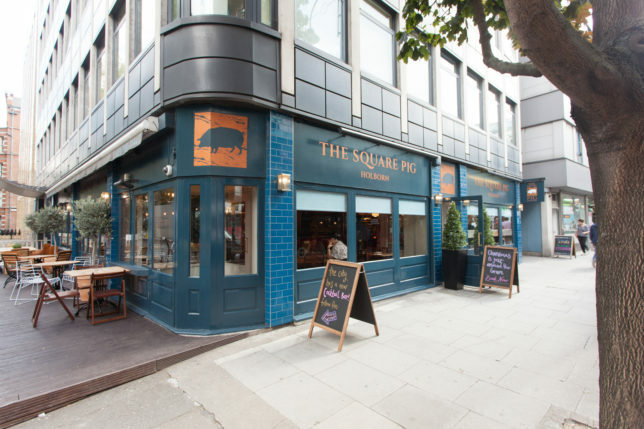 The Square Pig provides both choices for pub lovers and the cocktail crowd with its casual contemporary pub setting on the ground floor and its smart downstairs cocktail bar. In the pub area, you can enjoy a few drinks at the high repurposed wood tables, surrounded by tartan-topped seating or sink into racing green leather banquettes. 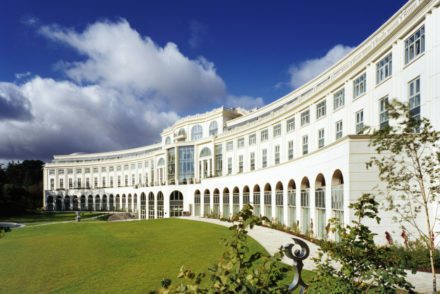 People watching is made even easier with the large windows that line the walls. Vibrant artworks depicting Holborn’s varied history and mixology links are also sure to catch your eye in this light and airy space. 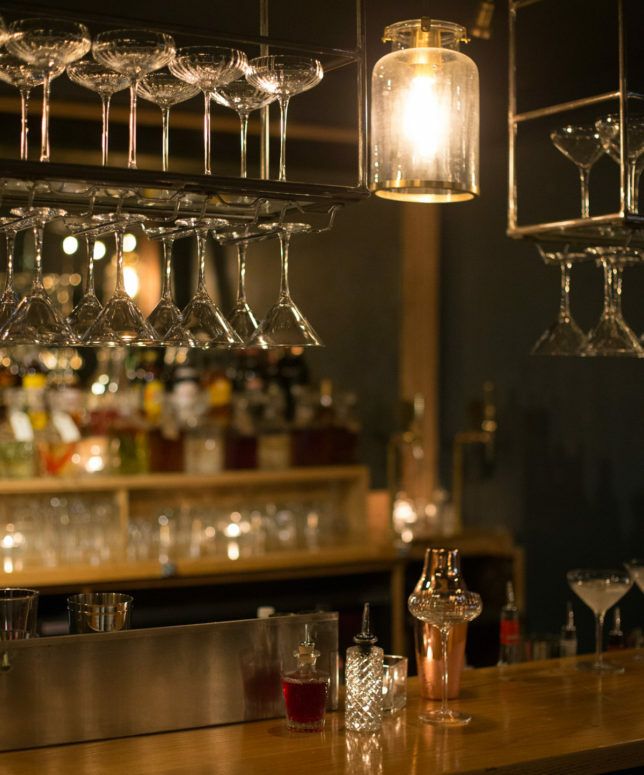 Follow the illuminated steps and discover a hidden speakeasy bar filled with herb-infused gin decanters and hanging martini glasses. Take your seat at the teal, black or dark brown leather booths and relax on the plush mustard cushions. Contemporary light fixtures with hints of gold add a modern touch to the decadent space. Head back upstairs and find an extensive decked area outside complete with hanging lights and fresh plants – a rare find in buzzy Holborn. 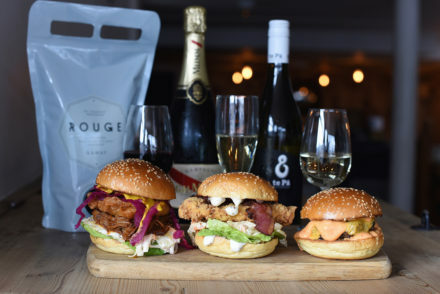 The Square Pig’s new diner-inspired menu hosts tasty light bites and mains designed for a quick working lunch or dinner with friends. Sharing dishes include the unique Tunada Rollnada consisting of seared sashimi tuna, smashed avocado, roquito peppers, and tomato with a touch of coriander and chipotle lime. 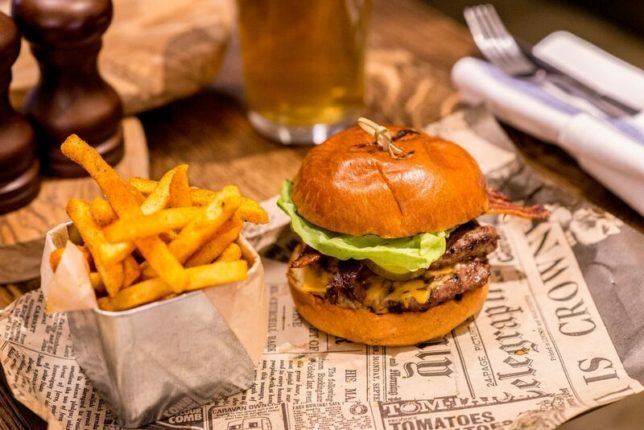 London’s favourite burger joints get a run for their money with the signature Smoke House Burger – a rare breed patty topped with succulent pulled pork, American double cheese, homebrew BBQ sauce, maple bacon, with tomato and red onion served in a steamed bun. Those looking for something a little more unusual than your typical pub grub can choose from healthy superfood salad to the exotic Teriyaki Swordfish with Sesame Noodles. 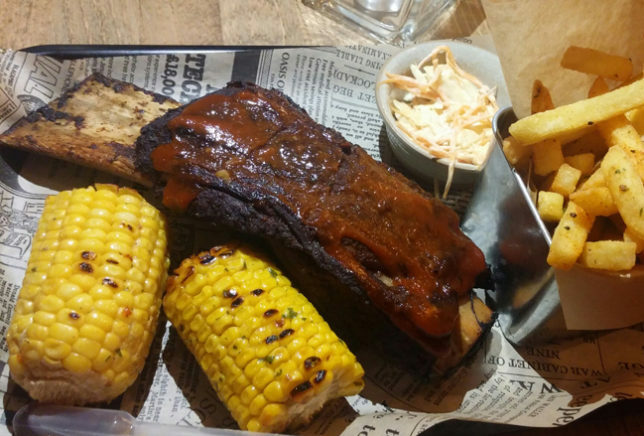 Here are the dishes we sampled from the American-inspired menu. 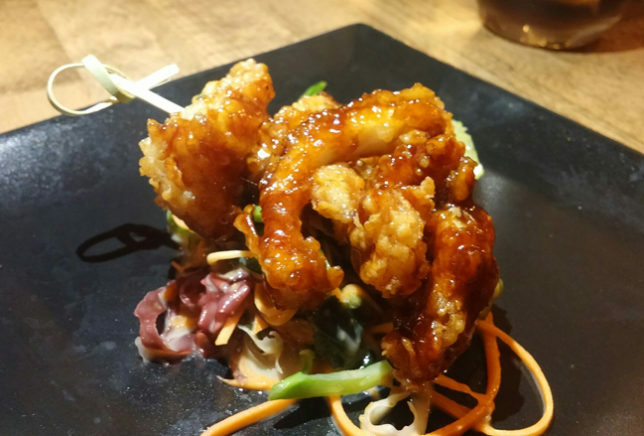 Double Fried Squid – smothered with a chilli, sesame & teriyaki glaze and served with a flavoursome kaiso seaweed and carrot salad. 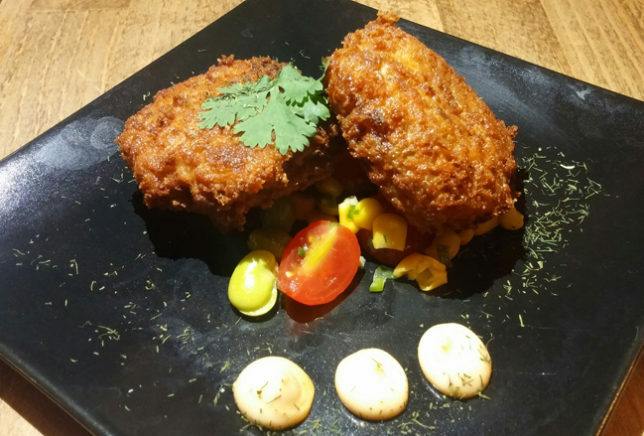 Crab Cakes – Texan style breaded crab cakes maked with picked white crab meat and served with a simple sweetcorn succotash. 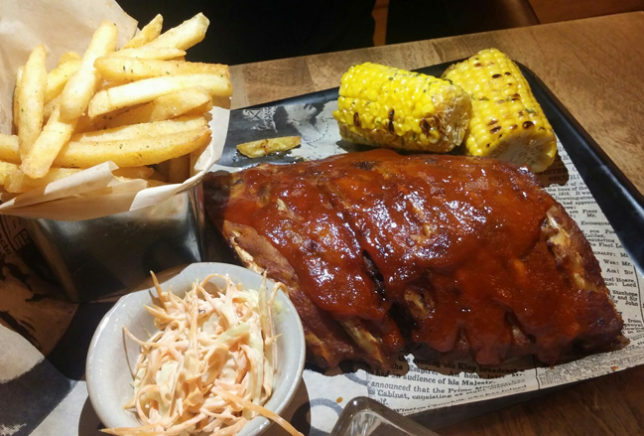 Hickory Smoked Ribs – tender slow cooked pork ribs served with Caesar slaw, garlic and lime buttered cob corn and house seasoned fries bursting with savoury flavour. 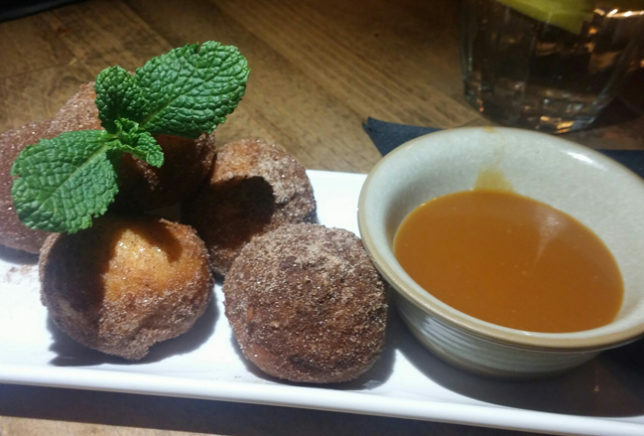 Little Pig Doughnuts with Salted Caramel Sauce – an irresistible pudding dusted generously with cinnamon sugar. 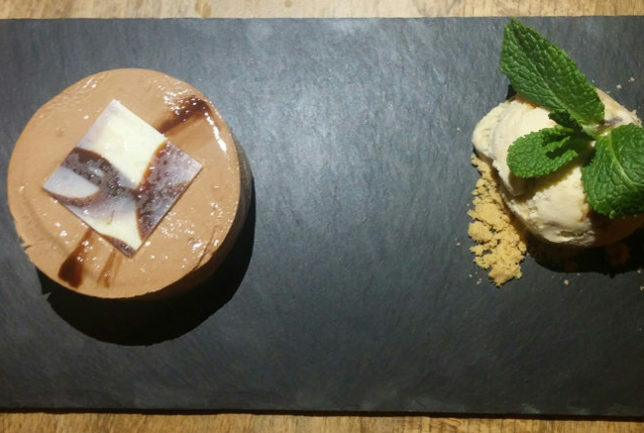 Chocolate Cheesecake – the heavenly combination of chocolate and cheesecake is sure to satisfy anyone with a sweet tooth. Whether you’re popping in for a quick pint after work or fancy something a little more creative, The Square Pig has it covered. For a quick pick me up, go for a Belvedere Raspberry Collins with Belvedere vodka, fresh raspberries and Fever Tree tonic. The familiar favourite Aperol Spritz sits alongside an adventurous offering of G&T cocktails such as the Loganberry Jam or the Red Chilli – all served as doubles! Beer fans aren’t left behind with a fantastic range of draught beers and local cask ales, as well as quality wines and ciders.